The Cuban National Seismological Service Station Network registered a perceptible earth tremor in Guama municipality, in the eastern Santiago de Cuba province. The perceptible tremor number 23 in the year 2010 was located at the coordinates of 19.63 North Latitude and 76.65 West Longitude, 35.5 kilometers (22 miles) southeast from La Plata, according to a press release from the Civil Defense General Staff. The tremor was located 10.10 kilometers (6.27 miles) deep, with a magnitude of 4.4 degrees in the Richter scale, associated to the Bartlet Caiman transforming fault system. There have been reports of tremor perceptibility so far in eastern provinces, as Santiago de Cuba, Granma, Guantanamo and Holguin. 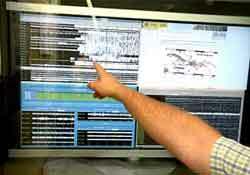 Experts of the Cuban National Seismological Research Center are working to process the information related to the phenomenon.